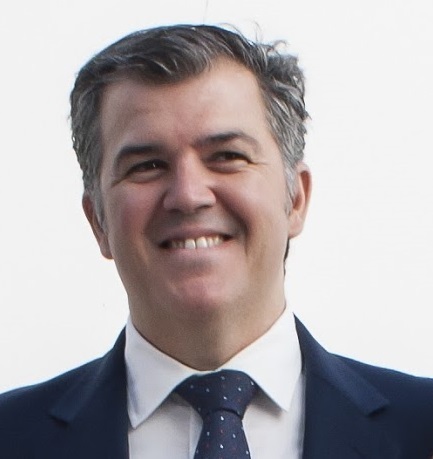 Enrique Escudero is the CEO of ACORSA USA, a DCOOP S.COOP.AND company, with over 15 years’ experience in the olives and olive oil business. He grew up surrounded by farmers and his family is still involved in olive farming. He consistently strives to promote the healthy benefits of Olives and olive oil consumption and their quality. Enrique established ACORSA USA, Inc. in California in 2003 and permanently moved to the U.S. in 2007 to lead ACORSA USA. He has experience in all aspects of distribution, finance and import management. ACORSA USA is the American subsidiary of DCOOP; it operates various lines of co-operative based products as its importer, distributor, sales, and marketing division in the USA. DCOOP (formerly Grupo Hojiblanca), is the largest producer of olive oil and table olives in the world. A cooperative of more than 75,000 families of farmers. 100% of our products (olives, Olive Oil, and wine) are coming from its farms, which allows them to have a complete traceability of the production process (from the harvest to the final product) and to keep the consistency of the quality year after year. Acorsa USA Inc has been operating in the US since 2003 supplying directly Importers and Retailers, basically under Private Label Contract. In 2017, Acorsa USA obtained its Wine Importer License. Prior to joining DCOOP S.COOP. AND, Enrique worked at First Level Cooperative, closer to the farmers. During this period he had executive positions in Spain. Enrique Graduated from the University of Seville, including one year in HEC-Liége, Belgique. He had completed executive education at Andalucia Business Association with an International Program with one-month research job at Spanish Chamber of Commerce in Paris. He completed a Private Label Executive Program at Saint Joseph´s University in Philadelphia, PA as well as a Food Executive Program at Cornell University, Ithaca NY in summer 2017. Enrique is an influential manager who fosters initiatives with determination, focus, and positive attitude. He enjoys working with people. USEC had a unique opportunity to have this exclusive interview with Mr. Escudero. 1) What were the main challenges you faced when opening the US market for Acorsa? In 2003, when we established our office in the USA, we set ourselves the goal of directly reaching as many customers as possible. We started with the distribution of Food Service which was one of our strengths and little by little we have evolved until we have more Retail distribution. All this has been an evolution of fifteen years. We started, and we continue with a lot of humility, we have been growing year after year. We have learned from our mistakes, we have associated efforts with companies that were already established and that had some distribution and we have continued learning. The most difficult thing has been to never lose sight of the initial objective, to transmit to the buyers that they have in DCOOP a Farmer’s company, very professional, fully integrated vertically, capable of supplying the products they need directly. When a direct communication is established with the client, everything works better. There is greater understanding to both sides. 2) What was Acorsa’s initial commercial strategy? Did you focus on some specific US states first? Wholesalers vs. Direct sales? Working directly from Spain we realized that our product was not special enough to get loyalty from our customers so our strategy was and it continues to reach the largest number of customers in the most direct way possible with the distribution limitations we face. Although it could be considered that all the food is distributed in the same way, each product and each distribution channel is different. Some of our products are sold as a commodity so we did not focus on any specific state but it is true that the states of the East Coast of the USA are more accessible for our products. The concept of healthy diet associated with the Mediterranean Diet has more depth on the coast of the Atlantic and California compare to others states. 3) What are the lessons learned? The lesson learned is that this market is always going to give you some opportunity and that this opportunity cannot be missed. In this country, you have to be active, dynamic and responsible. If there is something for which you are not the best, do not waste your energies on something that you will not be able to reach. USA It is a very broad market, before tackling it, a detailed work must be done in Spain. We have to analyze very well what our strengths are and try to identify which part of the market is best suited to it. Each product has its market and you have to work on identifying it. 4) Are there significant differences between the US and the Spanish market? How do you deal with explaining these differences to your colleagues back in Spain? I am very lucky to work in the US which opens your possibilities to a very large market. The market is very demanding, very exigent but it full of opportunities. If you work hard and you are consistent you will have success. It is difficult to fully participate in this market without the direct contact. I think that our experience here should be leveraged to try to reach other markets directly. 5) How is the brand Spain perceived in the US food sector? In the food sector and I think in general, Spain is very well known. In food, we have evolved a lot in recent years. The production companies have been concentrated, as well as the distribution and we have been able to invest in the latest technology. The quality levels that we impose on us are increasingly high, we have more and more prepared human teams and the perception, in general, is very good. Customers who have the opportunity to visit Spain fall in love with the country, facilities, people, food, weather, etc. The best marketing effort is to invite the customer to visit our country. To enjoy the people and understand our culture. 6) What is your strategy to differentiate in the US from your European competitors? In Olives, we are in a phase of evolution. We have consumers willing to pay extra for a more sophisticated product. We have to push the development of new recipes, preparations, packaging. It is a task at all. Greece is taking some advantage of this and we must learn from it. The industry needs to visualize this change. Continue to be as effective as we have been until now with the products we already sell and improve in others where we are taking advantage. In oil, the job is to continue transmitting that 50% of world production originated in Spain. That we have premium quality oils that have nothing to envy to other countries and that we have facilities with certified quality and capacity to supply any Retail or Food Service chain in this country. 7) How has the consumption of olive oil and olives evolved in US in the last five years? Is the organic and healthy trend positively affecting it? Oil consumption has an upward trend. It has been growing for years with very stable positive growths. The Mediterranean culture, the healthy diet, the olive oil as the flag of that message has penetrated. Currently, in the US, there is a consumption of 1Liter per capita, while in Mediterranean countries we are around 10liters per capita. We are convinced that consumption will continue to grow as there is room for it. In Olives, the situation is a little different. It is stuck in the “standard” products but we see a nice growth in new recipes, formulations, varieties, etc. The organic market is growing rapidly in the US Everyday more products are presented as organic and all retailers struggle to have a wide offer. We believe that organic has gone from being a fashion to being something demanded. The production is evolving every day in that line. Farmers are aware of this demand and are adapting their crops. 8) What products are your best sellers in US market? In olives, the new recipes are having very good acceptance. The olives stuffed with natural product is very much in demand. The olives seasoned with a more traditional style, more Spanish, are also growing among the customers. Organic oils are highly demanded in the USA as well as some varieties that have better offer every day. 9) How will the drought suffered in Spain this year affect the business in the US? The drought has worried the entire sector. Everything that is short of water for long periods of time supposes a reduction in production and therefore more price tensions. The consumer ends up suffering because prices have to be adjusted to the available supply. Oil and olives are substitutable products, that is, if the price becomes too heavy for the consumer’s pocket, it will move to other oils or replace the olives with other toppings. Production is well established and there are new plantations that have not yet come into operation. 10) Do you find difficult hiring employees in US that fit your company needs and culture? Or, if you hire Spanish employees to work in US, which are the required skills and competences required of the candidates to succeed? In our office, we look for a balance between the American staff and the Spanish personnel established in the USA. Due to the geographical mobility that occurs in this country and the good labor offer, it makes very difficult to retain staff in key positions, hence we have opted for some positions to be developed by Spaniards with long experience in the US and a personal situation that invites us to think that they will grow their family life on this side of the Atlantic. We try to combine work trips to Spain for our employees with the intention that they get more linked to the product as well as so that they know who their interlocutors are there.